Very pleased with both the quality of the towel and the fast efficient service. I would highly recommend. Thank you very much. 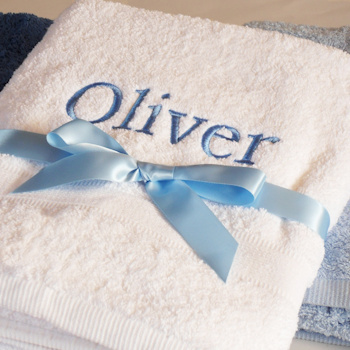 Thank you so much, the towel is lovely, so soft and presented beautifully, great gift for a first birthday. We were so pleased with the service---ordered Wednesday, received Friday with personalisation too! Amazing! To Amys Gifts Thank you very much! Received and it’s great!